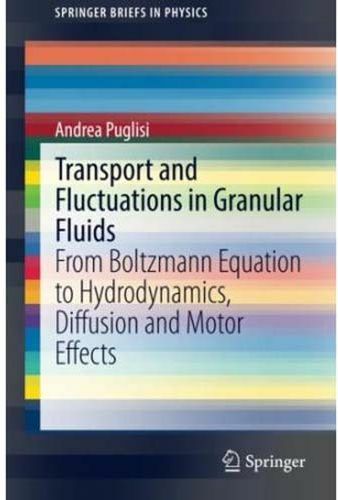 This brief offers a concise presentation of granular fluids from the point of view of non-equilibrium statistical physics. The emphasis is on fluctuations, which can be large in granular fluids due to the small system size (the number of grains is many orders of magnitude smaller than in molecular fluids. Firstly, readers will be introduced to the most intriguing experiments on fluidized granular fluids. Then granular fluid theory, which goes through increasing levels of coarse-graining and emerging collective phenomena, is described. Problems and questions are initially posed at the level of kinetic theory, which describes particle densities in full or reduced phase-space. Some answers become clear through hydrodynamics, which describes the evolution of slowly evolving fields. Granular fluctuating hydrodynamics, which builds a bridge to the most recent results in non-equilibrium statistical mechanics, is also introduced. Further and more interesting answers come when the dynamics of a massive intruder are discussed. Such non-equilibrium stochastic process offers a more precise and compact picture of the features foreseen at the more detailed levels of description. The dynamics of an intruder diffusing in a granular fluid reveal the clearest connection with recent theories on stochastic energetics and stochastic thermodynamics.